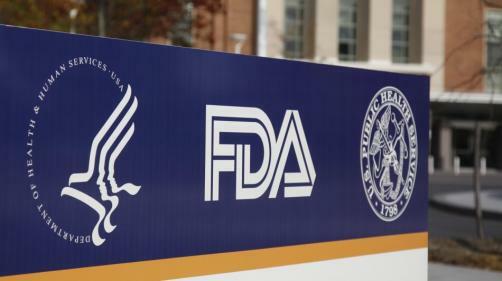 Novartis’ generics unit Sandoz has announced it has had its Biologics License Application (BLA) for a proposed biosimilar to Amgen's US-licensed Neulasta (pegfilgrastim) accepted by the FDA. Sandoz is seeking approval for the same indication as the reference product, which is a prescription medicine used to help reduce the chance of infection due to a low white blood cell count, in cancer patients who receive chemotherapy that can cause fever and a low blood cell count known as febrile neutropenia. There are an estimated 60,000 cases of febrile neutropenia in the US each year, and the condition accounts for nearly eight cases per 1,000 cancer patients. Approximately 1.6 million people per year in the US develop non-myeloid cancer. Mark McCamish, head of global biopharmaceutical and oncology injectables development at Sandoz, says: "The FDA's acceptance of our regulatory submission for biosimilar pegfilgrastim - our third biosimilar filed in the US - demonstrates our commitment to expanding patient access to biologics in the US. If approved, physicians will have another high-quality Sandoz treatment option for patients needing granulocyte colony-stimulating factors." Sandoz believes that the totality of evidence in its submission, including three pivotal clinical trials - one pharmacokinetic and pharmacodynamic study in healthy volunteers and two comparative efficacy and safety studies in breast cancer patients - will demonstrate that the proposed biosimilar is highly similar to the reference product and therefore justifies use of biosimilar pegfilgrastim in the reference product's indication. Sandoz currently markets three biosimilars. The company made history in September this year by launching the first biosimilar in the United States- Zarxio, a copy of Amgen’s Neupogen – and recently had its regulatory submission for a proposed biosimilar to another Amgen drug, etanercept – accepted by the FDA. However, its copycat products have riled Amgen, with the US-based company taking the Novartis subsidiary to court in June over Zarxio, which it sought to block from the market to protect Neupogen revenues. Novartis prevailed in the case, and was cleared to launch Zarxio in September.